Handmade out of timbers from our local forest and lovingly put together by hand over 7 years. The clock is 6 m high and 2 m wide sitting in a bespoke tower on the main street of Nannup. The clock is the largest wooden pendulum clock in the world and is made almost entirely of wood. 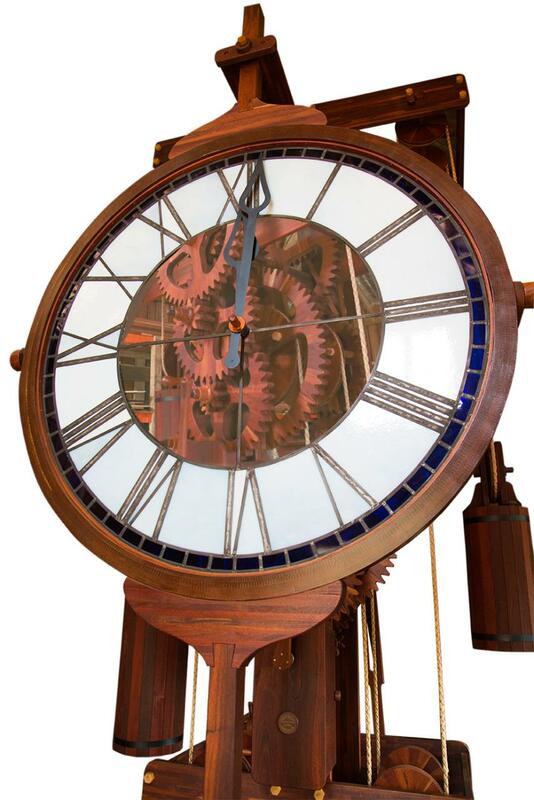 Kevin Bird, a local builder and master craftsman, who built the clock describes his love of clocks and woodcraft in this audio tour. A local guide will help you understand why this clock is so special and also give you a demonstration of the self winding mechanism.